Trimming nails on a feisty Tripawd isn’t that much easier than working on a quadpawd, but these inexpensive tools make the process painless. When it came to nail trimming, we tried all the tricks with our rear-leg amputee Wyatt Ray. Calming cap and muzzle make nail-trimming easy. We couldn’t even bribe him with the tastiest treats, after we accidentally cut to the quick and he bled all over the carpet. We resorted to getting his nails trimmed at a vet clinic, but our frugal-minded selves knew there had to be a better way. For the price of one nail trimming, we thought that purchasing a muzzle would be worth a try. And if he still wouldn’t let us, at least we had one to put in his pet first aid kit. 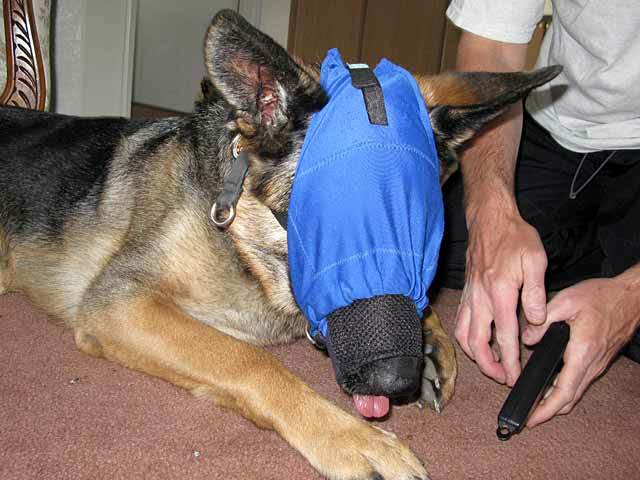 Along with the muzzle, we realized that his Calming Cap might also be a good tool to use during the procedure. Next, quickly slide the Calming Cap over the muzzle and his head. Feed him treats while simultaneously cutting his nails. The Calming Cap is a humane, painless fabric head sock for dogs that helps them stay calm when under duress. 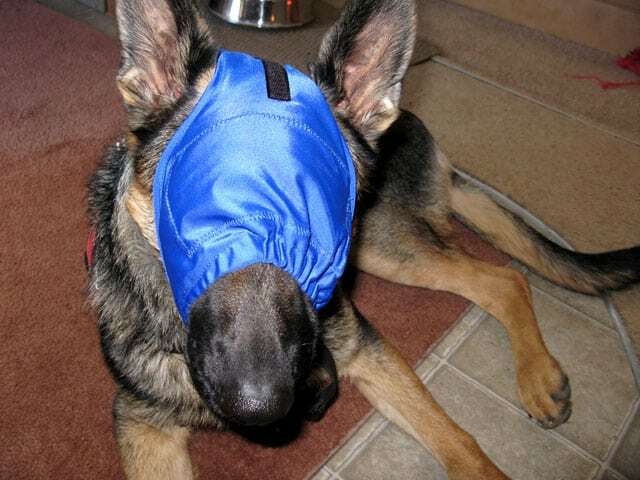 By keeping a lightly screened, sheer piece of fabric over their eyes, the Calming Cap “makes the dog’s vision indistinct, which reduces the visual stimulus and enables the dog to remain calm,” according to the manufacturer. It’s worked wonders on Wyatt during our travels. Wyatt instantly surrenders to the Calming Cap and the muzzle. He doesn’t whine, bark, squirm, bite or paw at us. He simply lays there and let us do the deed. We can trim all three paws in less than five minutes. We have yet to use our Oster Gentle Paws Cordless Nail Trimmer that he ran from after last year’s nail catastrophe, but maybe when we’ve done this fast nail clipper process several more times we might. 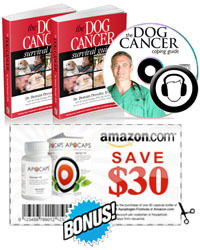 Many people think that a three-pawed dog’s nails are easier to work on but if the dog is feisty and feet phobic, you’ll need to pull out all the stops to get him to relax. As we found, it’s not difficult at all when you have the right tools! Kudo’s for you guys on figuring out a way to do it safely and “calmly” with those tools!!! That is pawesome! Who in the world said it was easy trimming a Tripawd! NOT! I have to do Maggie’s laying down…no more standing up for her! And then I have to contort my body in various ways to make sure I don’t cut too short(as I once cut her too short and she’s never forgotten it although doesn’t pitch a fit too badly…just tries to pull her paw away occasionally). Keep kickin’ and fightin’ Maggie! Don’t get fooled by the treats! Your Mom might try this trick too. RUN!!!!! P.S. Did I tell you you’re my kinda girl?